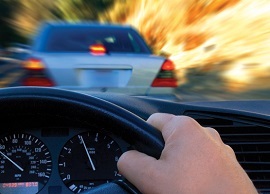 Telematics models have become much more predictive and now incorporate contextual behavior. Watch David Lukens of LexisNexis explain the evolution of how telematics modeling got started and where telematics insurance predictive modeling is today. "I'm going to talk a little bit about the evolution of telematics predictive models. I use these terms as if everybody knows what they mean, but I'm going to go through them pretty quickly. The first generation of UBI was mileage programs. That's how this all got started. A lot of the programs out there have some behavioral characteristics, but they're still very heavily mileage driven. We know that mileage is very, very predictive, but it's an exposure metric. It's not a behavior metric. I've done presentations before we're I've gone through that, establishing that it's actually completely independent of driving behavior—very predictive, but independent of driving behavior. In the US, we're pretty much beyond this.